Discussion in 'Comics' started by Motherbrain, Feb 6, 2018. 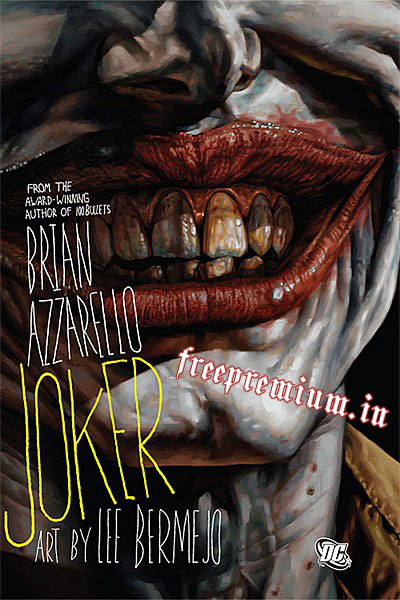 Written by Brian Azzarello Art by Lee Bermejo & Mick Gray Cover by Lee Bermejo In the all-new, hardcover original graphic novel JOKER, writer Brian Azzarello (100 BULLETS) and artist Lee Bermejo (HELLBLAZER covers) – the creative team behind the acclaimed miniseries LEX LUTHOR: MAN OF STEEL – show an even darker and more disturbing side to the most dangerous man in Gotham: The Joker. After yet another stint in Arkham Asylum, The Joker finds “his city” divided among mobsters and costumed villains. Not content to settle for a piece of the pie, The Joker vows to take back the whole damn enchilada by any means necessary. Look for appearances by a slew of Gotham’s most wanted, including gritty takes on Two-Face, Riddler, Killer Croc, Penguin, Harley Quinn and even Batman! Not since THE KILLING JOKE have you seen such a powerful tale of The Joker – you won’t want to miss this one! gillo, halimo and rreigns214 like this.